A while ago, I was commissioned to write an opinion piece discussing the use of mobile technology and social media in the museum environment and how, if implemented correctly can develop audiences of all ages by Ian Clappison. It was an extremely time senstive piece and I didn’t fully commit to getting it done which was a good thing, as 3 months later – ta da! Elephant in the Room – is it rude to use a smartphone when at an art gallery or museum? Smartphones are the best invention ever. Ok, maybe a bit of a strong statement but it has transformed the way so many of us live and work. They have also changed the way we interact with the museum environment. While I’m not a huge fan of apps many Smartphone owners are and appreciate their value. I will download apps prior to a visit (especially if in another country) to help learn a bit about the museum and perhaps learn what type of personality the museum might have (fun, family friendly, strictly about the art, etc). Apps are a great way for museums to bring the collection and brand to the palm of the user, regardless of their age. 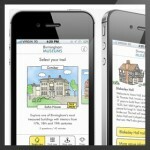 I particularly like apps that can be used away from the venue then interact with the use when they are in the museum. My daughter prefers apps that are interactive and can be used along the way on our visit (trails). The questions related to what it is like for visitors to use a physical device while in a museum and gallery is often asked – does holding a device take away from the experience? Does visitors using an iPad or smartphone interrupt other visitors’ experience? For me the answer is no. I see the devices to be similar to audio guides because in reality, they are no different. They both enhance the experience but aren’t required. 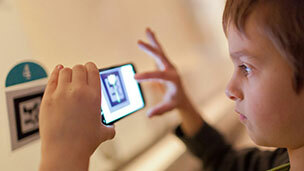 Mobile technology within a museum environment is like any other technology in a museum environment – when used within reason, can work very well. When it takes over the exhibition, we are losing the ability to recognize the importance of the artefact. Recently, I was able to talk to MA students on the use of digital technology within a museum environment. The traditionalist prefer to have the information on the card. However, they also can see the benefits when working with collections to ensure information is shared for those that want it. I enjoy visiting museums and art galleries. I don’t have a degree in art or history but enjoy using the venues as a space where I can learn at my own pace. When I am presented with too much information, it can be overwhelming. Compare that scenario to a MA student or an audience that does want to delve into more data. How do we find the balance for both parties to be happy within the same environment? 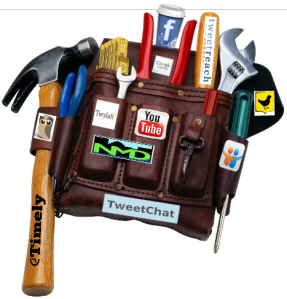 This is where mobile technology can come into play. Apps, Augmented Reality and other options such as RFID or QR codes could provide the level and depth of information some would prefer while allowing me (the non-academic) enough on the label to not intimidate (Name, date, material). Mobile technology (ipad, etc) can also help enhance a paper trail that already exist. One key element is to make sure the trail doesn’t lose the participatory feel – it doesn’t help if only one person as the headphones! Ok, I can understand the argument about using phones within an environment and the concept that it could be annoying. However, we are living in a society where so many people own smartphones. We are not discussing using phones in a movie theater or indeed using the phone in a museum – that would be a completely different matter. Additionally, most people use their smartphones as their cameras. Notwithstanding the controversial debate on whether pictures should be allowed or not (that’s one for another article! ), the fact remains we live in a visual world where pictures play an important part. Sharing what I am seeing and learning on my journeys is important to me. I share all photos of museums and galleries on Facebook – sharing with friends and families that might not ever get to where I’m fortunate enough to travel to. However, often they will be inspired from the photos to investigate the venue more – even if it is just to visit their website. Within a museum environment, I am often impressed when I see signs such as ‘Like Us, Like Our Page’ or ‘Share your pictures on our Flickr page’. It almost gives permission and acknowledgement that they have embraced social media. This assumption is about as true as all OAPs like Bingo. We mustn’t sterotype what the media tells us and instead look within our own community to see what works best for you. Many teens can’t even afford mobile phones let alone smartphones. Many might own a Facebook account but if you ask them how often they use it the response will surprise you. Majority of young people use Facebook not as a social tool, but for an email portal. Don’t use social media to be hip with the young people. EVER. Unless you have a young person running the account. For someone like me, I enjoy sharing my expeditions while I’m out. I often will tweet that I am at a venue then go on to share what interest me. One tweet could spur someone who has never visited before to go and visit. Is that a bad thing? Word of mouth is stronger than most marketing in my opinion. Recently I went to Chemistry Heritage Foundation in Philadelphia (I wrote about my experience here). From that unplanned trip, I have become a huge advocate of their work, most of which I don’t even understand. What I do understand is their use of social media. Now, whenever I meet someone that works with science, I immediately recommend they follow @ChemHeritage. I just spent this whole time saying why *I* prefer to use my smartphone in an art gallery and museum. Will everyone agree? I really hope not. I know there are people like my mom who refuses to use the evils of social media or her smartphone for anything past the free international calls to her granddaughter. She would never dream of using her smartphone to enhance a visit – reading a map and talking to the front of house is how she wants to learn and that’s great! What I want to see is that the choice be left to the public and what as individuals, they feel comfortable with. I am fascinated by this technology and what it can accomplish in all aspects of life. Personally speaking I would not want to download an app as a enhancement to a visit but rather get content through my phone browser. Imagine I was on a city break and visited 3 – 4 sites in a day and needed a different app for each. Urgh! For me there is something magical about holding my phone next to a RFID and getting access to something extra, something special. Additionally there is opportunity to reach out to visitors that otherwise are difficult to reach, such as foreign language speakers or those with disabilities. Audio and video can all be provided through the browser as well as a guide tailored to your interests or maybe a lucky dip tour. There might be a challenge around making sure people use head phones which could also be a opportunity to sell them some cheap head phones. This is pretty much thinking aloud but the possibilities are exciting.